Additive manufacturing or three-dimensional (3D) printing is widely used by engineers and designers for rapid prototyping customizable products. Unfortunately, such a rapid prototyping technique is yet to be developed for the nanoscale. The importance of manufacturing at the nanoscale lies in the extraordinary properties that materials exhibit at such small scales. 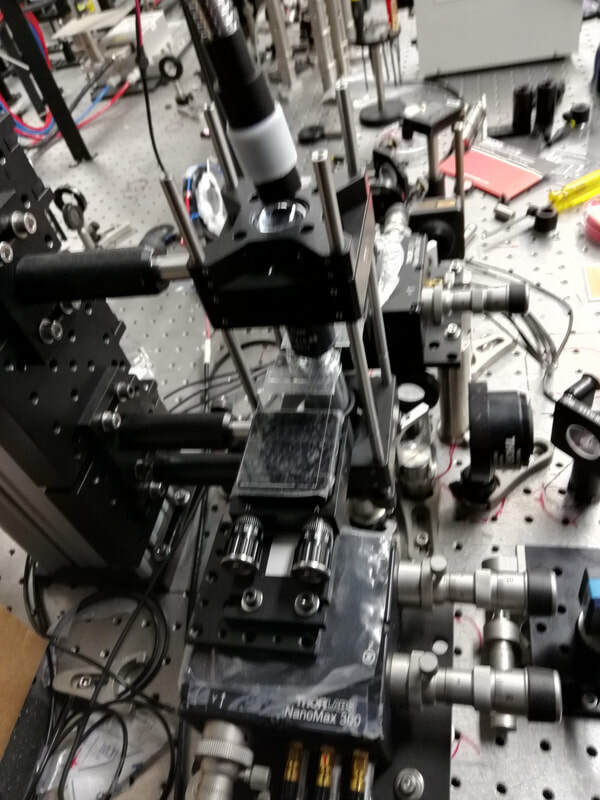 Therefore, the ability to manufacture three-dimensional nanometer-sized structures becomes critically important to explore new properties and applications of nanomaterials. 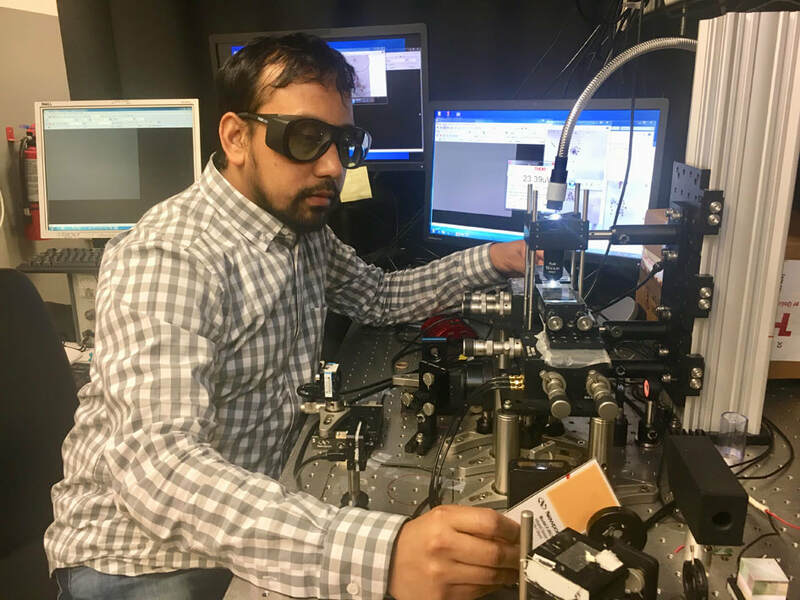 This NSF-funded research aims to develop an non-destructive nanoparticle transfer process that can be potentially used for additive nanomanufacturing. Nanometer-sized structures that are a thousand times smaller than the diameter of a human hair can be transferred to any substrate in an additive way to build 3D nanostructures. The process uses a continuous-wave laser to lift and transfer the nanostructure non-destructively under ambient conditions. Such a capability is important for applications such as wearables, sensors, and other flexible electronics. 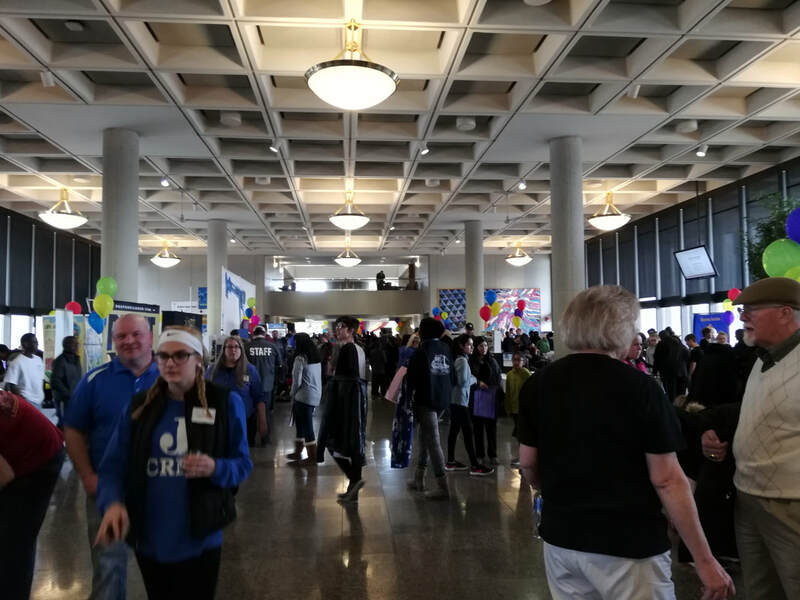 2019 Dayton TechFest: The Dayton TechFest is held every year in Dayton area as a free family fun with science, technology, engineering and math (STEM). 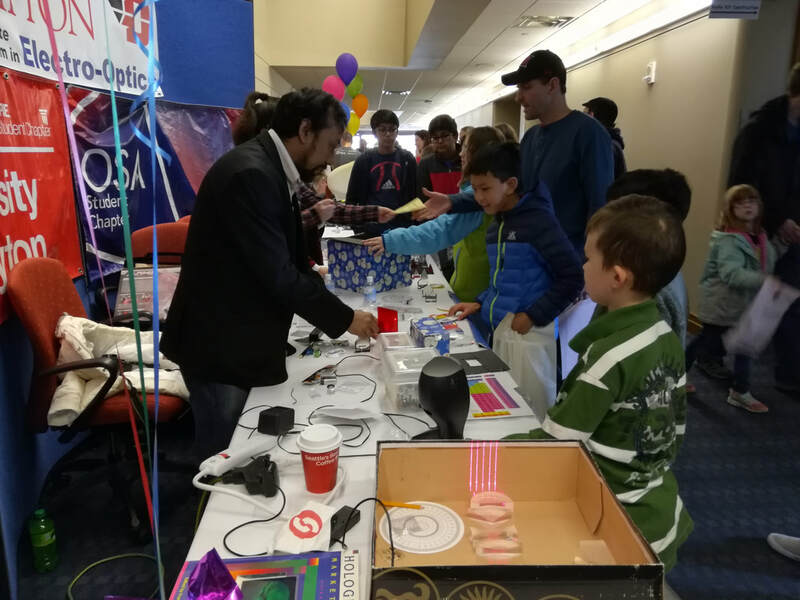 Participates includes NASA astronaut, Air Force flight test pilot, college professors, classical guitar players and others deliver entertaining and informative talks on STEM topics. 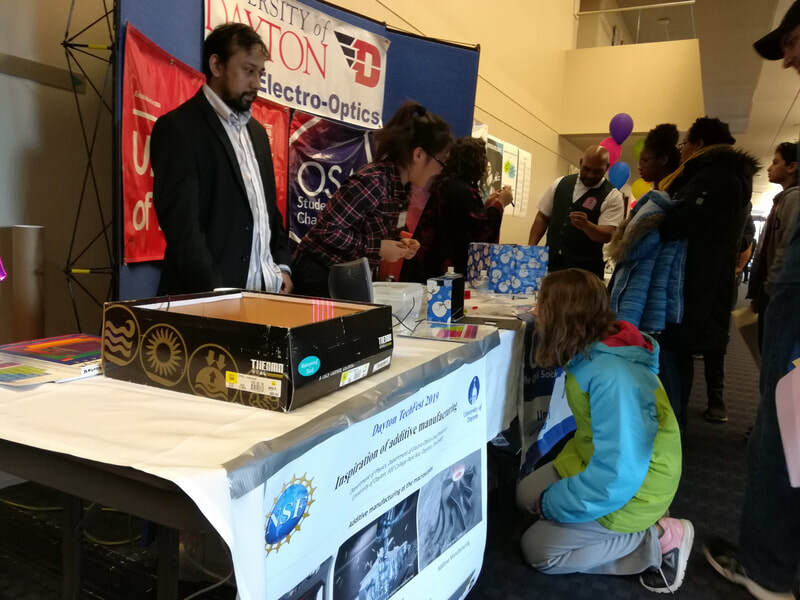 This NSF-funded research is demonstrated on this event. NSF Nano Science Conference: This NSF-funded research is presented at the 2018 NSF Nano Science Conference. 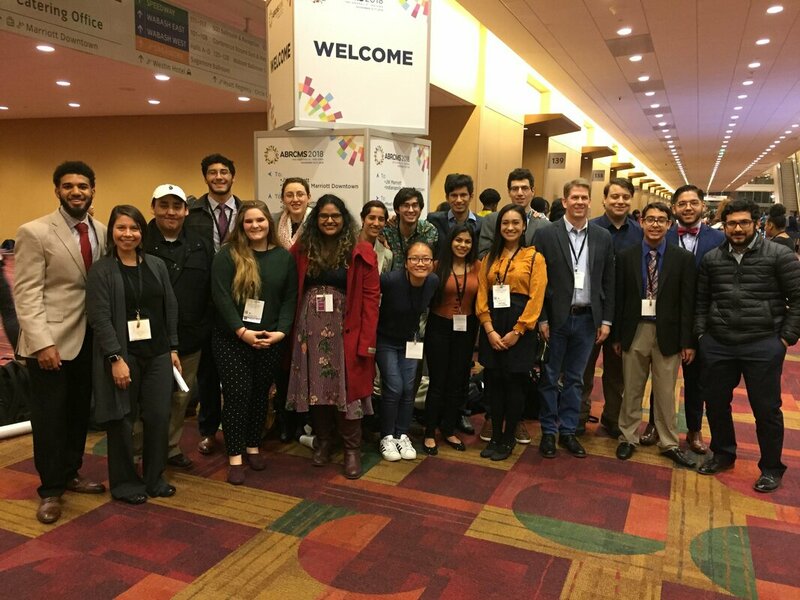 MRS Fall meeting: This NSF-funded research is presented at the MRS Fall meeting that was held at Boston, MA, United States, Nov. 25-23, 2018. Click this link for more details. 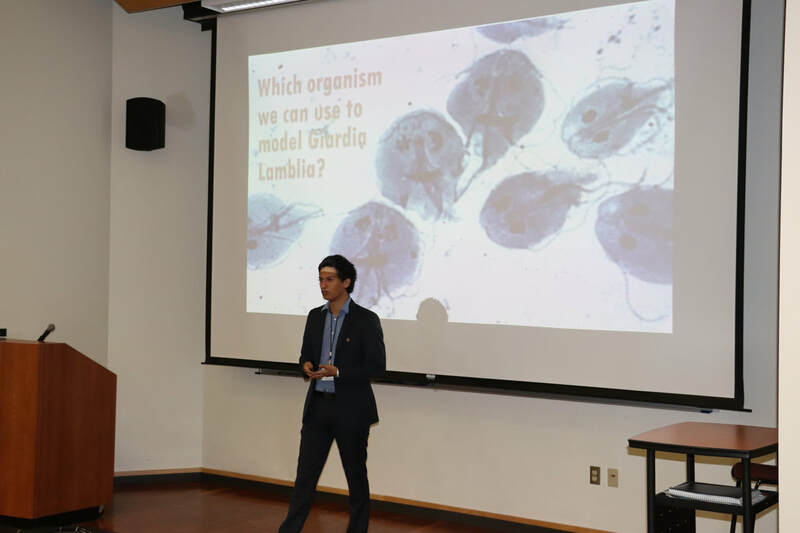 2018 Undergraduate student Training: Josemaria Soriano, an undergraduate student from St. Mary’s University (San Antonio – Texas), got well trained on scientific research in the NPNM lab in the summer of 2018. 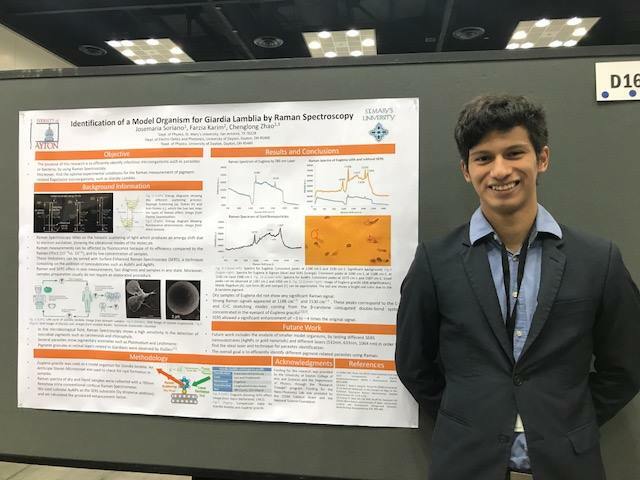 Soriano has been awarded Best Oral Presentation at the University of Dayton Summer Research Symposium and Best Poster Presentation at the Annual Biomedical Research Conference for Minority Students (ABRCMS). The first image below shows that Soriano is presenting at the University of Dayton Summer Research Symposium. The last two images below shows Soriano's participation in the ABRCMS. 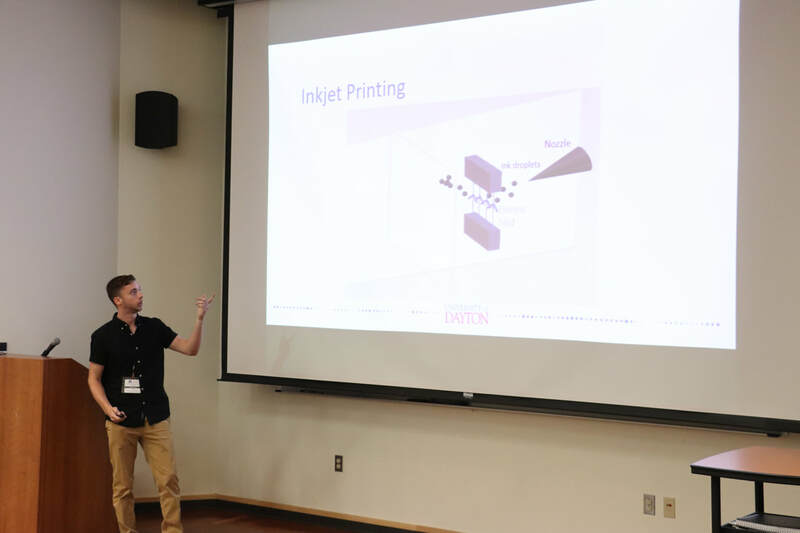 2018 Undergraduate student Training: Zayne Parsons, a physics undergraduate student at the University of Dayton, experienced research in the NPNM lab in the summer of 2018. Zayne has been working on a project for nanoparticle-based nanomanufacturing. 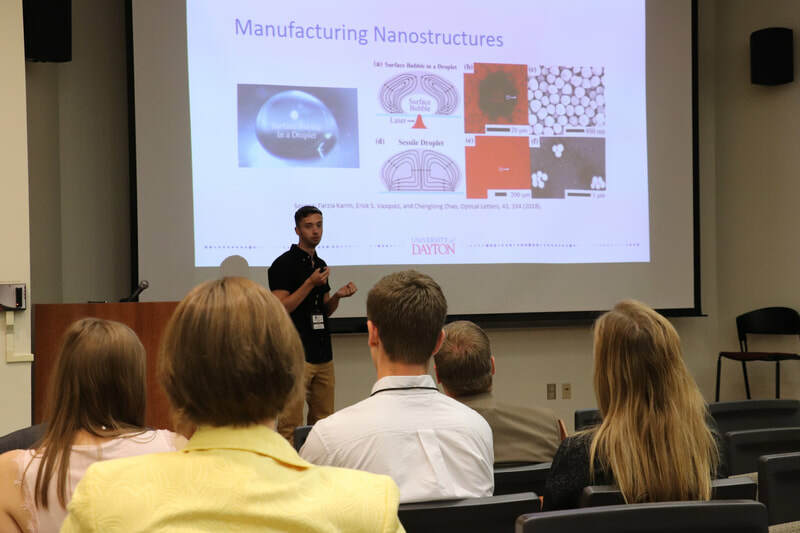 The images belows shows that Zayne is presenting his research results at the University of Dayton Summer Research Symposium​.